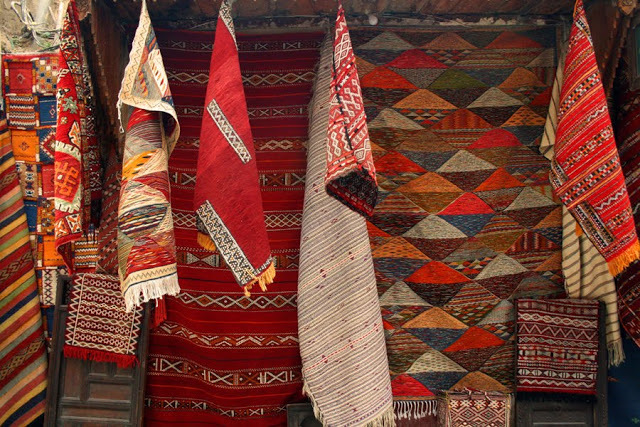 Moroccan rugs are popular purchases for visitors and make an excellent addition to any home. Explore the icons of Moroccan wrought iron work: candlesticks, lanterns, mirrors and even lampshades that will fit perfectly with your decor.Internationally esteemed Moroccan designers have appropriated these objects and there are now modern versions. Combining authentic handicrafts with designer esthetics: In every town or city in Tunisia, brides wear a different outfit. Gold embroidered tunics, camisoles decorated with spangles, lace trousers, fabric shawls…. Today these fashions are available in myriad interpretations; many designers sell models that feature particularly modern design sensibilities. Another characteristic Moroccan art form is the zellige. Throughout the country, you will find these mosaics on traditional objects or used in innovative designs! 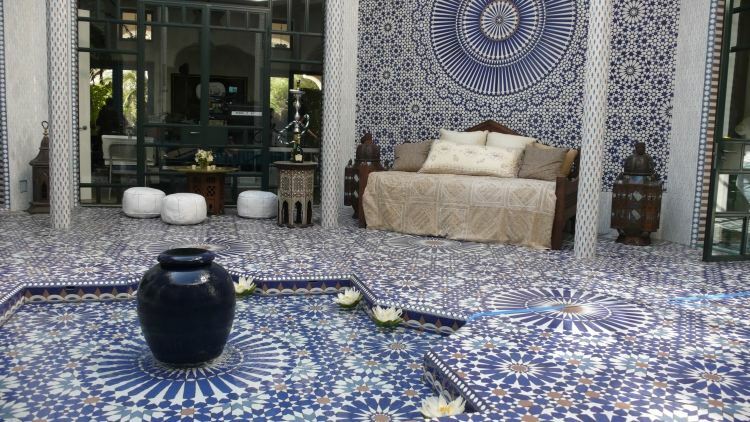 This art is a true hallmark of Moroccan interiors and the undisputed capital of Moroccan zellige is the city of Fez. Head there to buy uncounted wonders in its traditional small shops. The country's traditional local products are of incomparable quality and include aromatics like saffron –aka red gold, olive oil, honey, orange blossom water and argan oil with its unique, exquisite flavor. 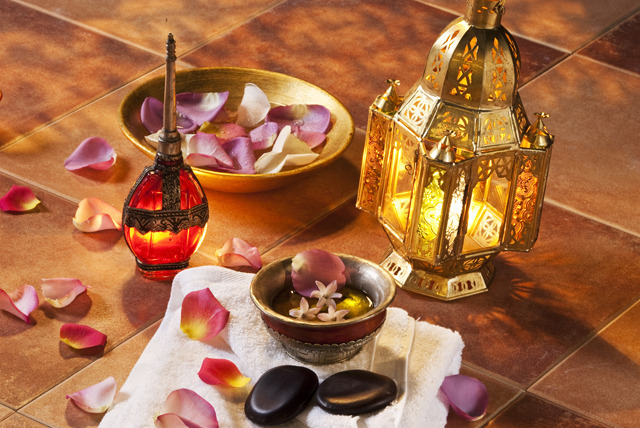 Hamman rituals make use of henna, rose water, black soap and rhassoul clay. Let yourself be tempted by their natural benefits. 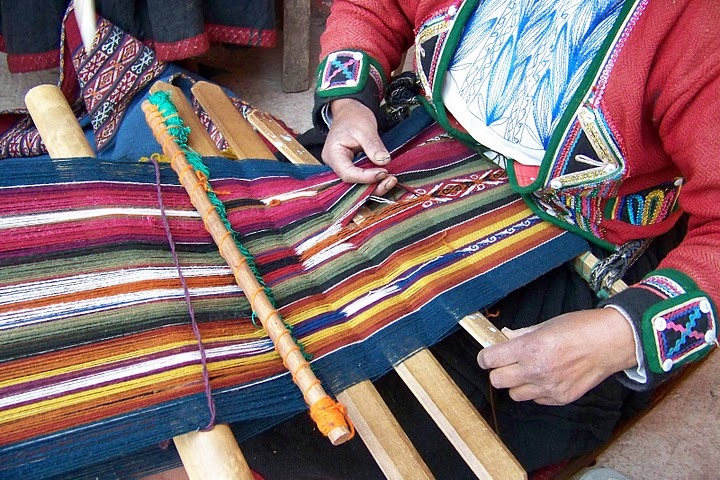 In homes in villages in the south, weaving plays a particularly important role. Carpets grace the floor, throws cover the walls and beds. Their warm colours are created using pigments from plants: bright red, midnight blue, brown, orange… The simplest boast brightly coloured stripes. The most beautiful are completely covered in geometric motifs: diamonds, chevrons, symbols and little stylised animals, drawing on a traditional repertoire of meanings.